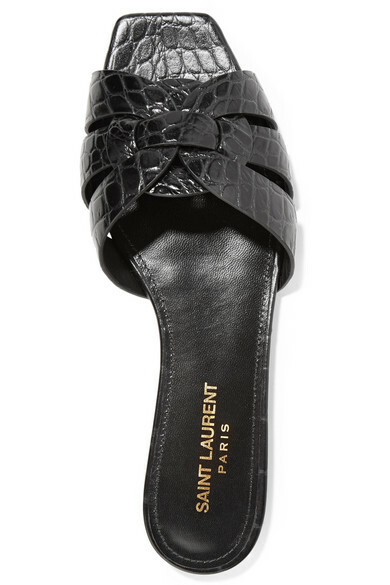 Saint Laurent's 'Nu Pieds' slides have the same wide intertwined strap as the brand's iconic 'Tribute' sandals. 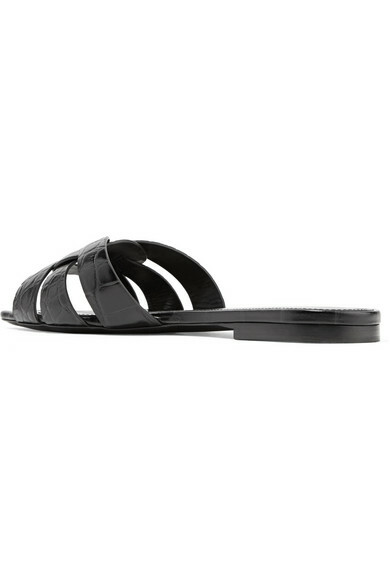 Made in Italy from glossy croc-effect leather, this pair has a modern square toe and is set on a slight heel. They'll complement everything from denim to dresses. 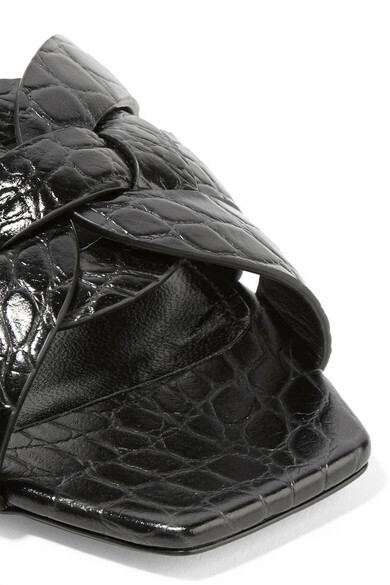 Shown here with: Saint Laurent Dress, Saint Laurent Tote.